The Last of Us Part 2 has been pretty quiet since an E3 2018 gameplay trailer. 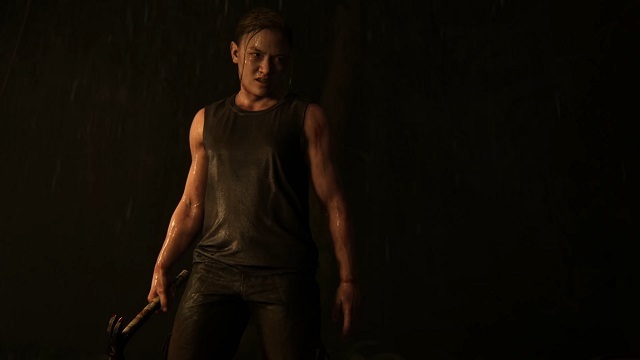 Performance capture for at least one character has finished according to the game’s director, Neil Druckmann. The Last of Us Part 2 Laura Bailey has wrapped performance capture for her role in the game. Naughty Dog‘s hotly anticipated follow-up to 2013’s The Last of Us was announced in December 2016 with a brief teaser trailer. That was followed by a trailer at Paris Games Week in October 2017 featuring a different cast of characters, including Bailey’s. Druckmann’s latest Instagram post announced that Bailey had finished performance capture. Druckmann’s previous Instagram post was also from mocap on TLoU2, back in December 2018. The Last of Us Part 2 has been in development at Naughty Dog since Uncharted 4 released in 2016. Much of the studio went on to produce Uncharted: The Lost Legacy which released in August 2017, with full-time production on TLoU2 taking over from there. Laura Bailey’s character is still unknown in the game. She premiered alongside other unfamiliar faces, although many of them received names and some backgrounds. Fan speculation posits that Bailey plays Ellie’s mother in flashbacks during the game. That is pure speculation though, and the Paris Games Week trailer has been shrouded in mystery ever since. Druckmann is co-directing TLoU2 with Anthony Newman and Kurt Margenau, and Halley Gross is joining Druckmann as a co-writer. Bruce Straley, co-director of the first game, left Naughty Dog in 2017. Ashley Johnson and Troy Baker are returning as Ellie and Joel, respectively. E3 2018 returned the focus to Ellie, with an extended gameplay sequence book-ended by her budding relationship with Dina. The Last of Us Part 2 is slated for release on the PS4, although no release window has been given.